Keeping America beautiful is not just picking up litter, which is a large problem, but also by helping to keep our environment safe and clean. Green Issues in Focus, a series geared toward the middle school student, discusses different types of environmental impacts and what can be done to clean up and protect the environment. There are five titles in the series: Conserving and Protecting Water; Food for a Greener Planet; Green and Clean Energy; Solving the Air Pollution Problem; and Unloved and Endangered Animals. 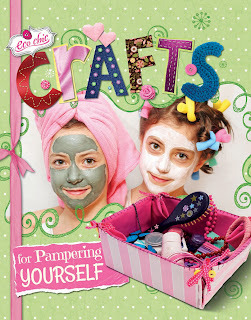 These library-bound titles are available directly from www.enslow.com, your preferred vendor, Barnes & Noble, or Amazon. Eco Chic: New Series for Fall 2013! We're excited to announce "Eco Chic", another of our Fall 2013 new series! Discover different ways to recycle, customize, and add sparkle to your bedroom, your clothes, your accessories, and yourself! Each book in the Eco Chic series is written in easy, accessible language with step-by-step instructions, color photos illustrating each step, and "eco-friendly" tips explaining recycling, reusing, and renewing. Eco Chic will be available this September direct from Enslow Publishers and from all of your favorite booksellers! Get an up close look at the insects that live all around you! 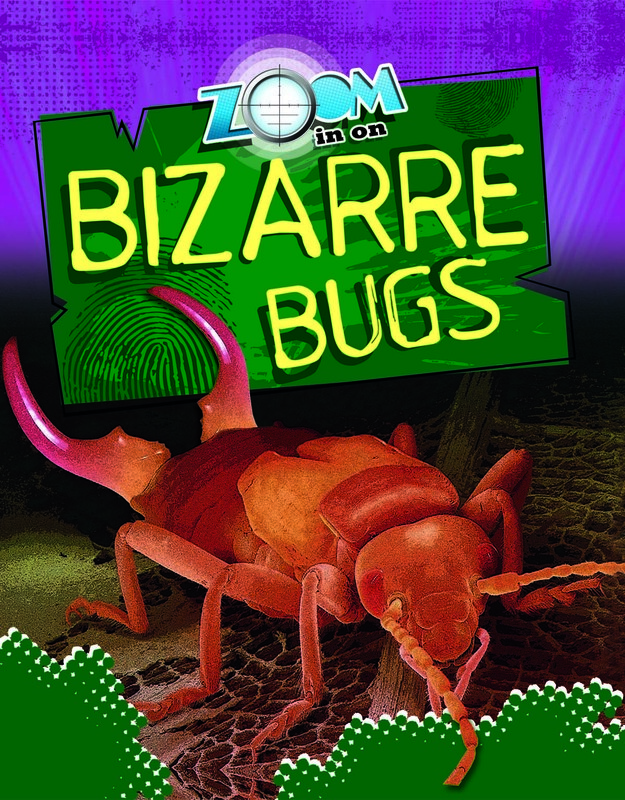 Learn about the bugs, parasites, and other creatures that live on or inside you! Zoom in on tiny things, such as hair, skin, broken glass, bacteria and dust—that reveal the truth about crimes. 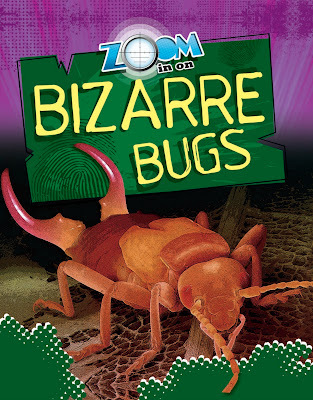 Learn how to follow a cockroach trail, meet the beetles that love feasting on our carpets, and meet the whole cast of spiders, silverfish, dust mites, woodworms and other creatures that live in your house! The "Zoom In On..." series will be available on 9/1/2013 from Enslow Publishers, Inc. and all of your favorite library vendors. Enslow Publishers wants to take a moment to celebrate public librarians and school librarians/media specialists during National Library Week. (The ALA has provided some interesting public service announcement videos from Caroline Kennedy lauding librarians.) Librarians such as you juggle many balls, including working with adult and young patrons, providing programs that bring people to your library, and scouting content providers (such as Enslow) for material that make sense for your institution's collection development needs. We make every effort to understand your challenges and we appreciate the professionalism you bring to your jobs every day. For young patrons, becoming familiar with a library's or media center's services helps them utilize the rich resources available. Enslow's Common Core correlated Master the Library and Media Center addresses this issue in ways accessible to elementary-aged readers. 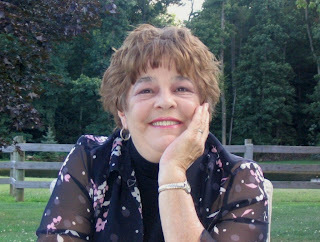 Author Ann Graham Gaines' age-appropriate text clearly and succinctly discusses the who, what, where, why, and how of a library. The 48-page book's friendly design, useful glossary, and excellent color photographs add zip and guidance to the book's important theme. The book, part of Enslow's "Ace It! Information Literacy Series" is available directly from Enslow Publishers in a library-bound edition for $17.95. That price represents a 25% discount from Enslow's list price for that title. 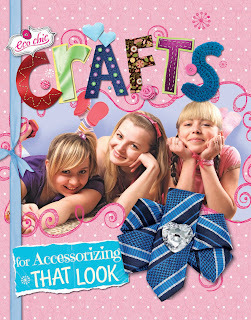 Master the Library and Media Center is also available from your preferred vendor, Amazon, and Barnes and Noble. We want to congratulate the library of Wayne Junior Senior High School in Wayne, Nebraska for winning our $100 in free books! The Media Specialist has been contacted and will send us her list of books soon! Paul Robeson was born on this day in 1898. His life's journey is the subject of a recently published Enslow Publishers biography, Paul Robeson: A Voice for Change. This book, written by Patricia McKissack and Fredrick McKissack, offers young readers an opportunity to gain an introduction to Robeson's controversial life, his remarkable achievements, and the social and political issues in which he was immersed. This 24-page book, suitable for readers in Grades One and Two, is correlated to national Common Core State Standards as well as individual state curricular standards. The work, included in Enslow's "Famous African Americans" series, is available in print and e-book editions. When you order directly from Enslow, the library-bound edition is $15.95; that price represents a 25% discount from Enslow's list price. 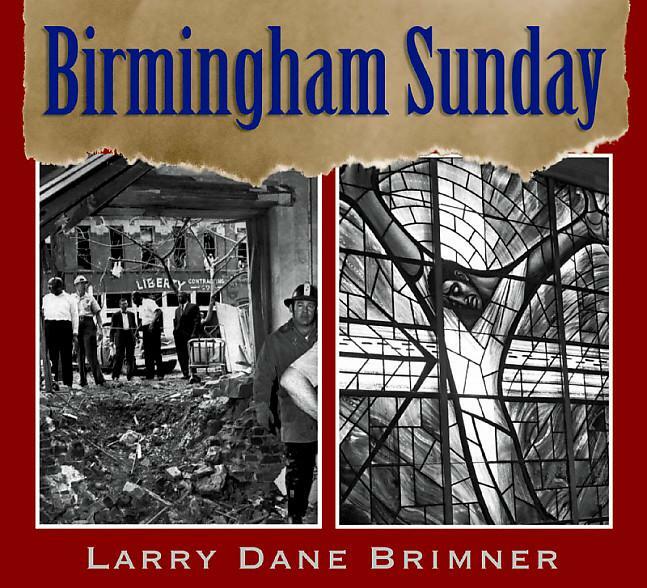 A paperback edition is available for $6.95. A school or library unit may purchase a multi-use e-book version directly from Enslow for the discounted price of $20.95; that price represents a 25% institutional discount from Enslow's list price. The Robeson biography is also available from your preferred vendor, Amazon, and Barnes and Noble. Looking for a cooking series for elementary readers? 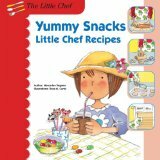 The Little Chef, a series of four books written for the elementary reader, gives step-by-step instructions for making easy, tasty food with kid appeal. Each step includes not only written instructions, but an illustration as well. The list of needed ingredients for each recipe are also included in an illustration format. The glossary is also illustrated, which will help kids familiarize themselves with basic cooking terms. 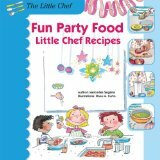 Fun Party Food includes recipes for guacamole, tomato and mozzarella skewers, chicken nuggets, popcorn balls, mini cheeseburgers, frozen yogurt, and more. 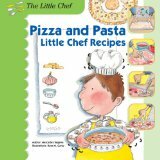 Pizza and Pasta's recipes include tiny bow tie pasta salad, ham and cheese lasagna, stuffed mini pizzas, as well as white sauce and flavored oils. 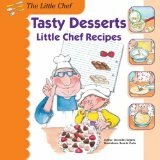 Chocolate-covered strawberries, brownies, cheesecake, and strawberry sherbet are some of the recipes found in Tasty Desserts. Want to make a chocolate shake? How about a puff pastry apple pie? Or how about a homemade mini pizza? Those are some of the recipes found in the Yummy Snacks book. Available in both library and paperback versions, these titles are sure to please both kids and parents alike! Look for them at your local bookstore, your preferred vendor, on the Enslow web site, and at Amazon or Barnes and Noble. Did you know that in France, Belgium, and Italy, paper fish are tacked onto people's backs as a trick (hopefully, without being noticed) and shout "April Fish" in their local languages? Poland, Denmark, and Scotland have their own versions of different types of tricks played on others on April 1. Making a bunch of photo-copies of a paper clip and then loading those copies into the paper tray. Watch as co-workers go nuts looking for the paper clip! Coated a hard-boiled egg in melted chocolate. Let the chocolate cool, and then wrap in tin-foil so that it appears to be a chocolate Easter egg. Put a bunch of fake parking tickets on a neighbor's car . . . in his own driveway! Set up a dummy of himself on the couch, reading the newspaper. Kids came downstairs and couldn't understand why the dummy wasn't answering them. Prankster was hiding and laughing from a nearby coat closet. 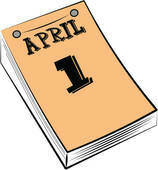 Let us know what April Fools Day pranks you have done to your family, friends, or coworkers!